Popularly known as "Rajaji," C. Rajagopalachari, the first Indian Governor General of India, was an ardent patriot, a pioneering social reformer, incisive thinker, profound scholar and author. He was also an eminent statesman and able administrator. He personified the ideal of simple living and high thinking. In the words of Jawaharlal Nehru, "Rajaji represents fundamentally the highest type of mind in India." Born on December 10, 1878 in Tamil Nadu, Rajaji had his education in Bangalore and Madras. He qualified himself for the Bar and built up a lucrative practice. He attended the Surat Session of the Congress in 1907. He first met Gandhiji in 1919 and participated in the Non-cooperation Movement in 1920. He led the Salt Satyagraha Campaign in the South in 1930 and was imprisoned for 9 months. Rajaji became the Prime Minister of Madras Presidency in 1937 but gave up office in 1939 following the Congress decision against cooperating with the British for unilaterally involving India in the Second World War. He became a member of the Interim Government formed in 1946 at Delhi. On Independence, he became the Governor of West Bengal. In 1948, he became the first Indian Governor General. In 1952, he became the Chief Minister of Madras as a challenge to fight the communists in the Madras State Legislature. He relinquished office in 1954. He was given the highest National Award of "Bharat Ratna" in 1954. Rajaji was a champion of free enterprise, prohibition and disarmament. He went to the U.S. in 1962 as the leader of the Indian delegation to plead against the piling up of nuclear weapons in the world. Rajaji was gifted with the rare talent of re-telling stories from the epics and the puranas. He wrote a number of books of enduring value as the Ramayana, the Mahabharata, the Gita and the Upanishads. He was an accomplished writer and speaker in English and Tamil. 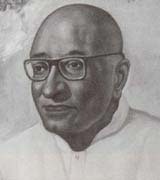 Rajaji died in 1972. Rajaji started to take part in the politics of the nation at the beginning of 1900's. At first he was drawn towards Bal Gangadhar Tilak. He had good relationship with V.O. Chidambaram Pillai, an ardent follower of Tilak. During Home Rule League days he admired Dr. Annie Besant and he highly revered Salem C.Vijayaraghavachariar, one of the founders of Congress. In the year 1919 Rajaji chose to follow Gandhi, who had just returned from South Africa. In the year 1921, Rajaji was selected as the General Secretary of the Congress Party and he came into close contact with Jawaharlal Nehru, Vallabhbhai Patel, Maulana Azad, Rajendra Prasad etc. and began to gain lime-light in the party. At one time considered Mahatma Gandhi's heir, this brilliant lawyer from Salem, Tamil Nadu was regarded in pre-independence years as one of the top five leaders of the Congress along with Jawaharlal Nehru, Rajendra Prasad, Sardar Vallabhbhai Patel, and Maulana Abul Kalam Azad. Rajaji was also related to Mahatma Gandhi - as his daughter married Devdas Gandhi. Of the five, Rajaji, Nehru and Patel were christened the "head, heart and hands" of Gandhi, in whose shadows they remained till his death. Ironically, all three of them were to have a tempestuous relationship, bound together only by their common goal and Gandhi's charm. However, they respected each other immensely. Nehru wrote about Rajaji in his autobiography of how Rajaji's "brilliant intellect, selfless character, and penetrating powers of analysis have been a tremendous asset to our cause". Rajaji's intellect and political acumen is often compared with that of Chanakya. He had a very intimate relationship with Mahatma Gandhi, Jawaharlal Nehru and Sardar Patel. Infact after his resignation as Governor-General he was called back to join Nehru's Cabinet mainly to work as a bridge between Nehru and Patel, a role in which he very well suited and succeeded after Mahatma Gandhi. Though in later years Rajaji developed differences with Nehru with regards to policy, their personal relationship remained unstrained. Both had high regards and affection on each other. Sardar Patel had always identified Rajaji as one of his close companion, he always shared a cordial relationship with Rajaji. He was so open to Rajaji that he has shared his personal views about Nehru and his policy with him. Both of them were averse to Socialism. Rajaji was perhaps the earliest Congress leader in the 1940s to accept the right of Muslims to self-determination. He devised a formula whereby there could be common defence and communications between the two nations. But the Rajaji formula was rejected by Jinnah as well as some Congress leaders. Rajaji was known to be a fierce defender of his political ideals, and did not hesitate to contradict his closest aides and friends in public, whenever he sensed a threat to them. After serving time in British prisons for his work in the independence movement, he became a member of the Governor's Council in 1946. In 1948, after Indian independence was attained, he replaced Mountbatten to become the only Indian Governor-General of India, in which post he continued till the Republic was declared on January 26, 1950. The office was replaced by that of President, first held by Rajendra Prasad. Rajaji became a member of Jawaharlal Nehru's cabinet, first without portfolio, then, after Patel's death, as Home Minister. He was chief minister of Madras from 1952 to 1954. On leaving government, he was among the first recipients of the Bharat Ratna, the Indian government's highest civilian award. Just ahead of the 1957, CR and his followers broke away from the Congress and formed the Congress Reform Committee. He came to an understanding with his former adversary, Forward Bloc leader U. Muthuramalingam Thevar, in forming an anti-Congress front. The two parties contested the elections jointly. 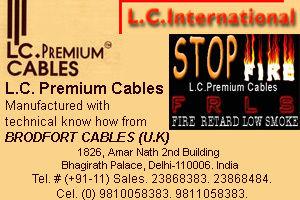 In September CRC was renamed the Indian National Democratic Congress. CR made several literary contributions. His works in his native Tamil are recognized as modern classics (published and re-printed several times). After his break with politics, he started on the massive task of translating the Hindu Scriptures Ramayana, Mahabharata from Sanskrit to Tamil; and later into English. He received rave reviews from scholars and religious seers alike. He translated Upanishads and Bhaja Govindam into English. His novels and short stories, themselves would have won him public adulation. He also translated 'The Tirukkural' from Tamil to English. 'Tirukkural' is an ancient piece of the Tamil literature and is often referred to as 'the flower of Tamilnad'. His ability as a writer, is in a sense, unparalleled, not just in India alone. Some of his poetry was set to music and sung by Carnatic music's dominant personality M.S. Subbulakshmi at several occasions of importance, and once at the United Nations Kurai Onrum Illai - (meaning - No regrets have I My lord, None) is a very famous song in the semi-Carnatic music genre written by Rajaji and the most popular version, (widely acknowledged as soul-stirring) has been rendered by M.S. Subbulakshmi. Rajaji also composed a hymn which was sung in 1966 at the United Nations, again by M.S. Subbulakshmi. He was invited to the White House by President Kennedy; perhaps the only civilian, not in power, ever to be accorded formal state reception. The two discussed various matters and it is said that the great Indian statesman tried to impress the young President on the folly of an arms race - even one which the US could win. The nonagenarian's public life, spanning nearly eighty years are perhaps best recognized by Mahatma Gandhi's rich tribute to him praising him as: "the keeper of my conscience". 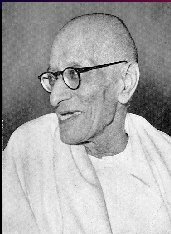 Rajaji died in December, 1972 after a short illness.